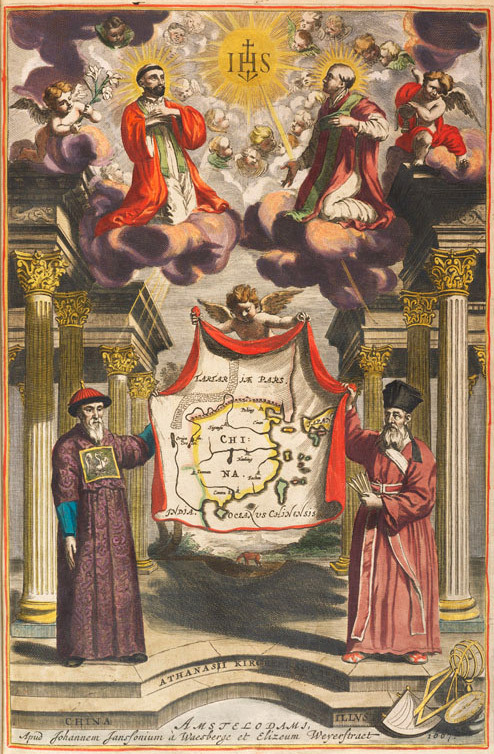 The Jesuit fathers Adam Schall von Bell and Matteo Ricci holding a map of China under the protection of the founders of the order Ignatius Loyola and Francis Xavier. Hand coloured engraving from Athanasius Kircher, Toonneel van China (1667/8). Courtesy of the Research Library, The Getty Research Institute, Los Angeles, California.